Matthew Darbyshire: The W.A. 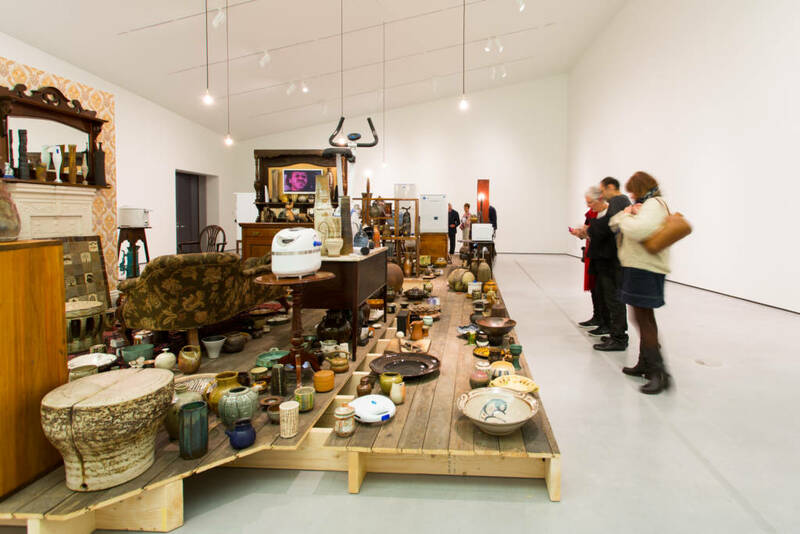 Ismay Collection at The Hepworth Wakefield, 2013. Photo by Hannah Webster. 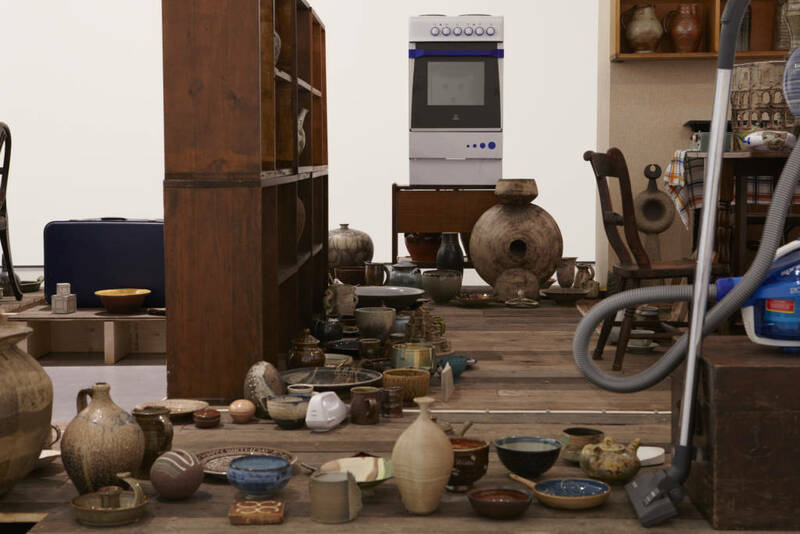 This project brought together one of Britain’s most exciting contemporary artists, Matthew Darbyshire, with one of the world’s most significant assemblages of post-war studio pottery, the W.A. Ismay Collection. Librarian and collector William Alfred Ismay (1910-2001) lived in Wakefield his whole life. 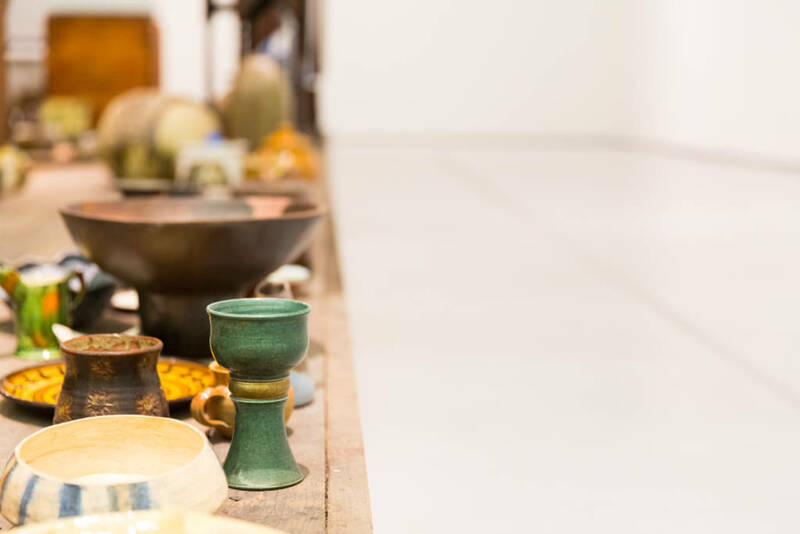 From 1955 he began to collect pieces by some of the most renowned makers of studio pottery from Hans Coper and Shoji Hamada to works by local Yorkshire potters, Barbara Cass and Joan Hotchin, alongside lesser known ceramicists. 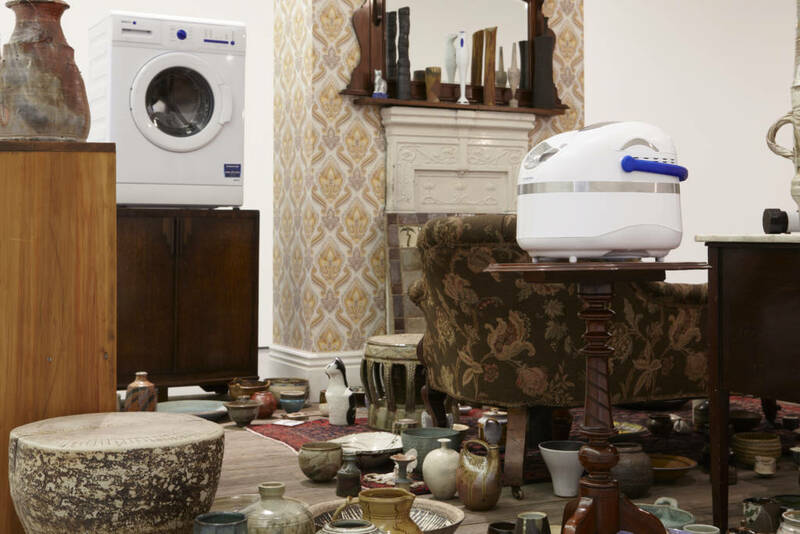 His extraordinary collection of 3,600 items, by 500 makers, covered all the available surfaces of his small terraced house in Wakefield. 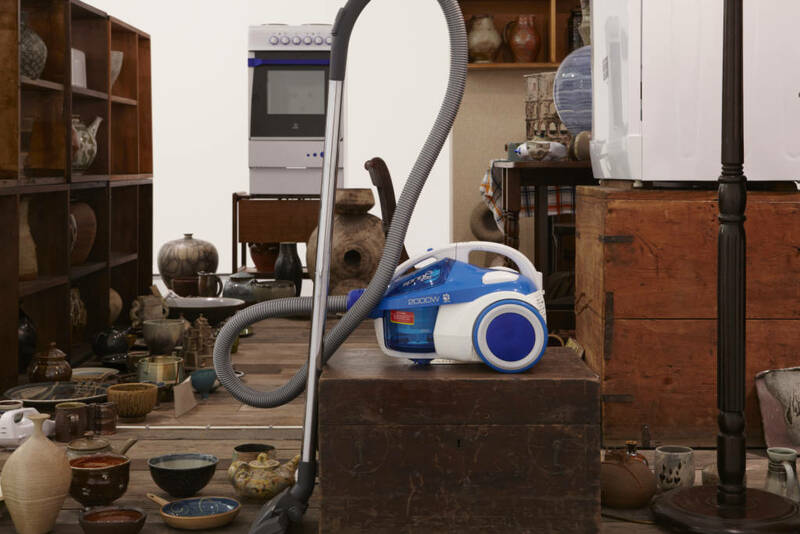 Taking the architectural footprint of Ismay’s house, examples of the collector’s domestic furniture and contemporary white goods, Matthew Darbyshire (b.1977 in Cambridge, UK) reframed the WA Ismay Collection at The Hepworth Wakefield. Bequeathed to the Yorkshire Museum, managed by York Museums Trust (YMT) since 2001, Ismay was eager that the collection should remain in the region. 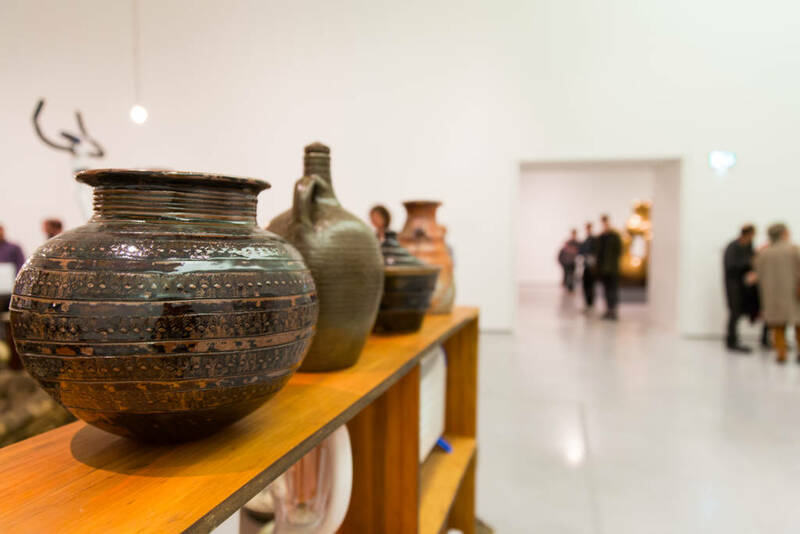 The exhibition has been developed in collaboration with YMT who lent 700 pots from the W.A. Ismay Collection while York Art Gallery was closed its major redevelopment project. Helen Walsh, a leading ceramics scholar and Curator at York Art Gallery, devised a selection process for the ceramics included in the exhibition and every potter in his collection was represented (Ismay successfully collected myriad potters from A-Z with the exception of the troublesome X). There was a deeply social aspect to Ismay’s method of collecting. Although a solitary man, he devoted his life and income to ceramics and developed close ties and decades-long relationships with the artists he supported. He often purchased from potters at the beginning of their career hoping to foster and support their development. These emotional attachments combined with his systematic approach to collecting resulted in a non-hierarchical attitude. Ismay made no distinction between the more valuable ceramics from well-known makers, such as Bernard Leach and Lucie Rie, and the pots that had little or no commercial value.